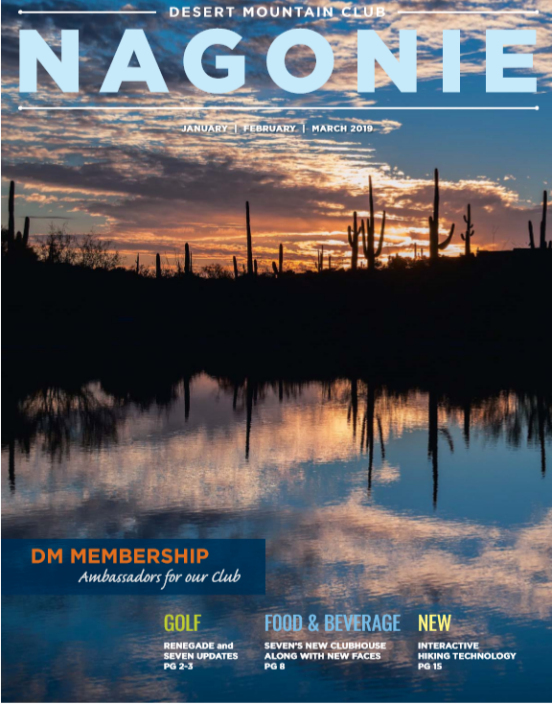 The Desert Mountain Club publishes a quarterly community newsletter called “Nagonie”. You can read all about the upcoming club events, member activities and projects underway in Desert Mountain. It is a great way to get a feel for the community. Download a copy of the magazine below. We are committed to keeping you up to date with news about Desert Mountain. Feel free to Contact Us with any questions about this world class community.